Trust America to concoct(調製、配置) such an ingenious(巧妙的、製作精巧的) combo of coffee and junk food. 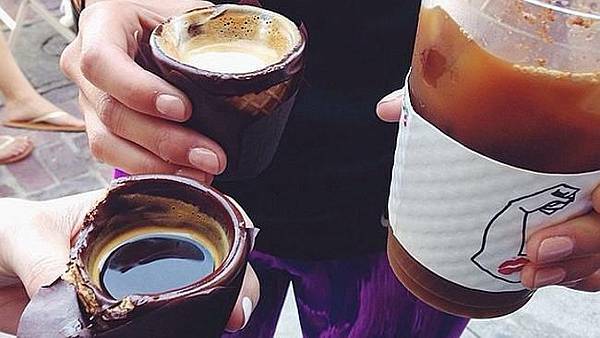 Alfred Coffee & Kitchen in Los Angeles serves coffee in chocolate-dipped waffle cones. The milk chocolate lining helps keep the cone from leaking(漏), while also infusing(注入) the coffee with a hint(少量) of chocolate. 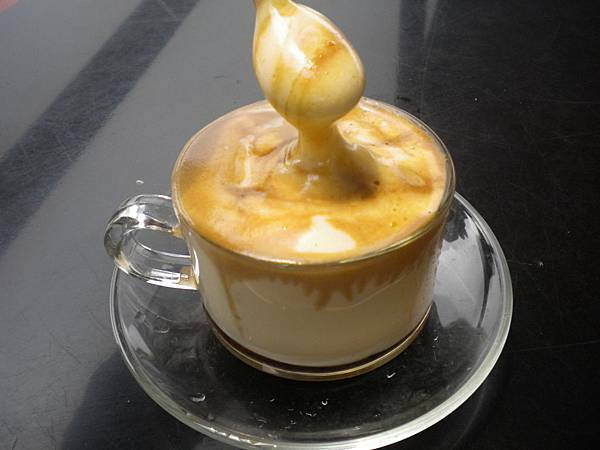 Vietnamese egg coffee (Cà Phê Trứng) is served in cafes throughout Hanoi and tastes like silky(柔軟光滑的) coffee-flavoured custard(蛋奶凍). 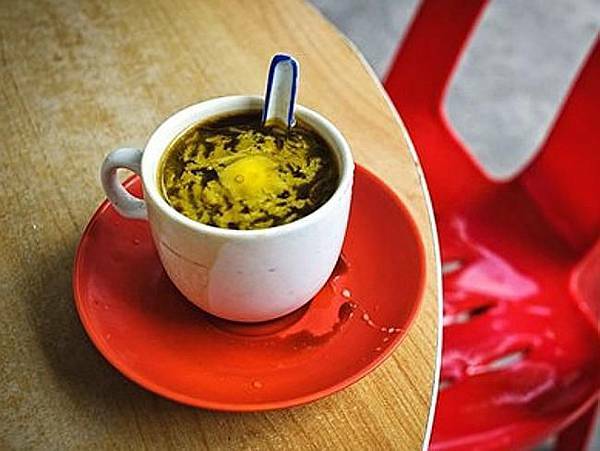 Egg yolk(蛋黃) and condensed(濃縮) milk are whipped together until thick and creamy, then black Vietnamese coffee is poured over the top and left to sink to the bottom. Favourite venues include the Hanoi Social Club or Cafe Giang. 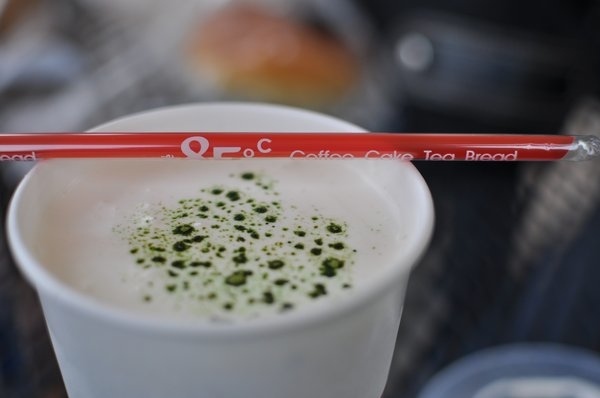 At 85C Bakery and Cafe in Taiwan, sea salt whipped foam(泡沫) is added on top of your coffee. The cafe reckons(認為) it enhances the coffee’s natural sweetness. Keep the salt factor up by nibbling a signature squid-ink bun with your cuppa. “Kaffeost” is a Finnish concoction(調製品) that involves hot coffee being poured over chunks of cheese. The cheese is made from curdled(凝固) milk that’s formed into a round disk around 3cm thick, then baked or grilled(燒烤) to give it distinctive(獨特的) brown or charred(烤焦的) marks. “Bulletproof coffee” is a hot new health fad(一時的狂熱) kicked off by Silicon Valley entrepreneur Dave Asprey, who reckons he was “literally rejuvenated(使恢復活力)” after drinking a cup of yak(犛牛) butter tea while hiking in Tibet. 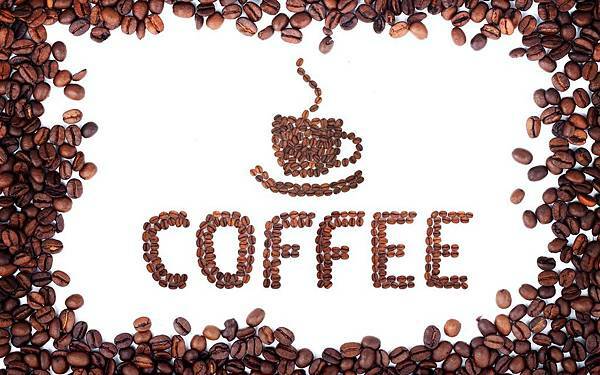 It involves brewed(釀) coffee being blended with butter and MCT oil (medium chain triglycerides). But, long before Mr Asprey had his revelation, Singaporeans were adding butter to their cuppas to give it a richer flavour. At Puerto Peñasco’s The Lighthouse restaurant, patrons who order the signature coffee get dinner and a show. Tequila, Kahlua and coffee are set alight by a waiter, who then cascades(小瀑布) the flaming liquid from one silver container to another before pouring it into cups. Fresh cream is added, then a burning cherry is placed on top. The world’s most expensive coffee — around $30 a cup — is made from coffee beans pooped by mongoose-like creatures called palm civets(麝貓). (NBA cloud has been cast over the practice by undercover reporters who have witnessed civets being held in battery-cage conditions to produce the coffee.) 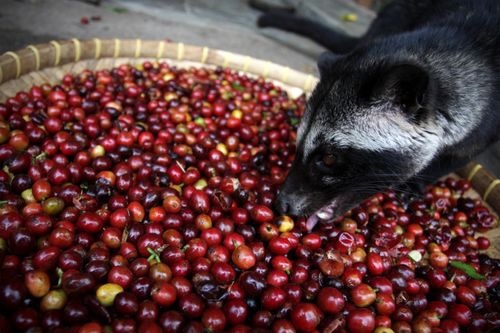 The civets eat the coffee berries and their gastric(胃部的) juices and enzymes(酶) increase the beans’ citric acid and flavour. 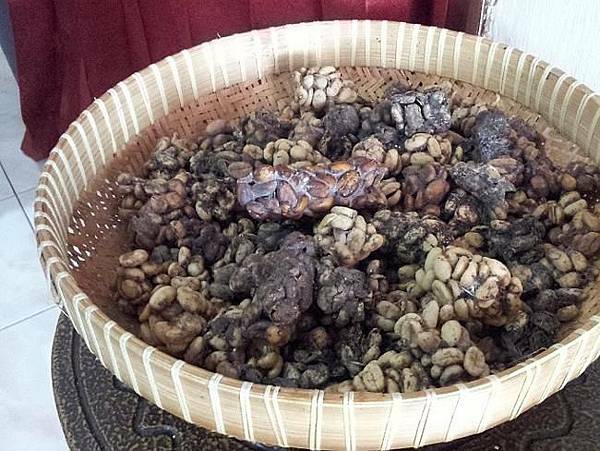 The undigested beans are then removed from the droppings, cleaned, fermented(發酵), dried and roasted(烘烤).